As we embark on a new year, I thought it would be fitting to look back and reminisce about the products that Pelikan brought to market in 2016. Many of those releases were rumored late in 2015 and most turned out to be true. That doesn’t mean Pelikan didn’t show up with a few surprises along the way. Pelikan, like most companies, is not a fan of pre-release spoilers so I doubt we’ll see the treasure trove of leaked models that became available at the end of 2015. I suspect that the company has since reminded their vendors of their contractual obligation to not leak info of upcoming releases. While we may not know what the future holds, we can look back and see that the last few years have witnessed a lot of interesting new designs as well as re-releases of fan favorites. 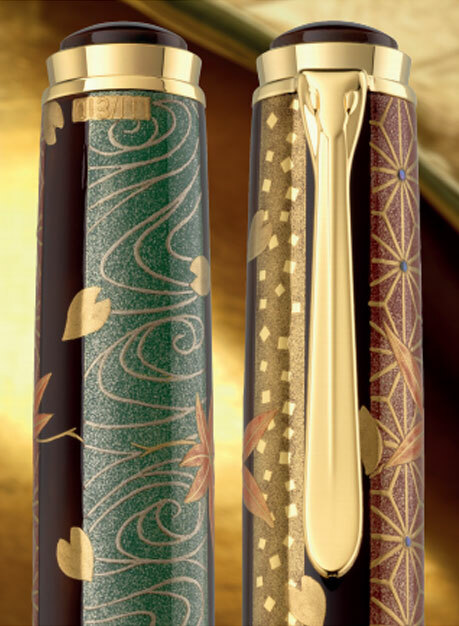 I think Pelikan has overall struck a good balance though the M600 and M1000 lines continue to see the least amount of attention of any of the Souverän models. While there was a lot to like this past year, not all news was good news. 2016 saw significant price increases in the United States market, well above and beyond the rest of the world and pricing for UK customers rose due to Brexit and the weakening pound against the Dollar and Euro. The U.S. distributor, Chartpak, reversed previously stated policy and began refusing warranty services to US owners of Pelikan fountain pens purchased from overseas retailers despite those vendors being authorized by Pelikan. This was most likely done in an attempt to deter people from shopping overseas where Pelikan fountain pens can be purchased at a steep discount. Read on to get caught up on anything you may have missed this past year. September 16th has come and gone, leaving in its wake a lot of the excitement that culminated in the third annual Pelikan Hubs event. Rather than post my thoughts immediately, I wanted to take some time and let it breathe. 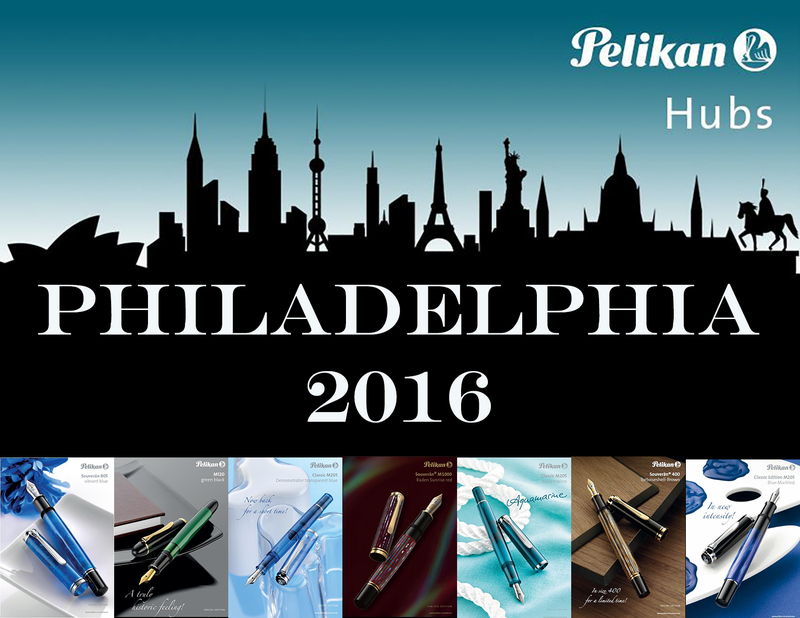 The third annual Pelikan Hubs took place in at least 109 cities spread across 37 countries with roughly 2600 fans registered to attend. Just as last year’s event showed tremendous growth over the inaugural year, Hubs 2016 has demonstrated that the event continues to pick up momentum. This year marked the second consecutive time that I was chosen as the Hub master for the Philadelphia, Pennsylvania, USA location. Thankfully, the Pope remained in Rome this year which helped to avoid much of the traffic nightmare that occurred during last year’s hub. Site selection remains a challenge for Hub masters worldwide. As you might imagine, it is difficult to find a suitable location that can accommodate an event of this size, be centrally located, have good lighting, not be too loud, and be available gratis. I also like to ensure attendees a chance at food and beverage since the event occurs during the dinner hour. With those parameters in mind, I set out on an extensive search of the city and had quite a few misses which took us right down to the wire. Ultimately, I found an amazing establishment that was gracious enough to host our party free of charge. This year’s Philadelphia Hub went down at Cooperage Wine and Whiskey bar located in the historic Curtis Center in the Washington Square neighborhood. Cooperage bills itself as combining southern bistro fare with an eclectic list of wine and whiskey from around the world. The restaurant is very welcoming and has a great feeling of warmth about it. It certainly doesn’t hurt that the food menu is excellent as well. The establishment boast over 90 different kinds of whiskey available. The good people at Cooperage provided us a great area in which to hold our event and I can’t recommend them highly enough if you’re looking for a venue for your next function.